Occupation: Owner (with wife ZeZe) of Cahill Diner (6504 Cahill Ave., Inver Grove Heights; 651-455-4408; cahilldiner.com); the upcoming Ze’s Diner (3448 Denmark Ave., Town Centre, Eagan); and director of operations for Axel’s Bonfire Restaurant Co.
What did you want to be when you grew up? I’ve always loved business. I wanted to open my own trucking company, and I did some of that in Egypt. Moving here in 1984 was like being born again. But it was difficult at first because I didn’t speak a word of English. What was your first job in food? I was a busboy at Woolworth’s in the IDS Building in Minneapolis. After working there for a month, I thought there had to be something better, so I pushed the elevator button and hit the 50th floor. At that time, it was the Orion Room, and I worked there as a dishwasher. Eventually, I moved into the kitchen and worked those positions. Then, I became a bartender for Cleo’s, the 50th-floor bar. What’s something few people know about you? That I am huge, huge, huge into family. I’m a father of five – four have a college education. My youngest daughter, who finished a four-year degree in 2-1/2 years, is going to be running the Cahill Diner. My wife is going to be running the one in Eagan. What culinary trend do you wish would die? I would have to say fast food. It doesn’t really help our kids much. What’s something in your career that you wish you had done differently? I love where I am today and that I did everything the hard way. I had a degree in Egypt, but if I had to do it over again, I probably would have gotten more schooling here. What’s your favorite restaurant? I like the Downtowner Woodfire Grill. I like the Mediterranean twist to the entrees and the freshness of the pizza. I also like the open kitchen. What’s the weirdest food you’ve ever eaten? Frogs. In Egypt, they’re small and you don’t eat them. Here, they’re the size of chickens. What’s next? 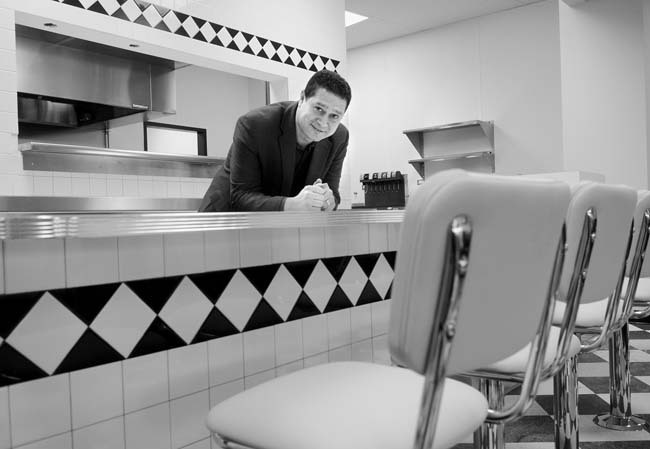 My goal is to have three diners, because I love creating jobs for my family and others. I opened Cahill Diner in 2009 and now my daughter can work there and not have to sit in the unemployment line. My youngest son is just about to finish high school. By the time he finishes college, we’ll be in a position to give him his own place.